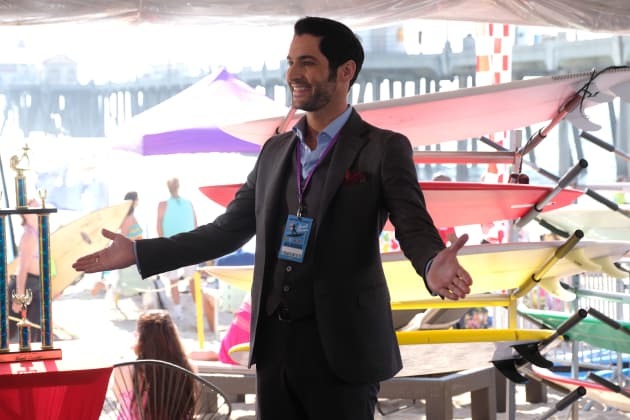 Lucifer and Chloe investigate the death of a surfer on Lucifer. "All About Her" is the 12th episode of the show's third season. 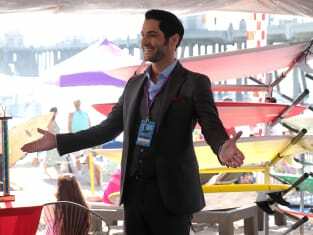 Lucifer Season 3 Episode 12: "All About Her"
Lucifer: You can't just walk out on me. I'll tell everyone who you are! Pierce: Go ahead. They don't even believe you're the devil. Permalink: Go ahead. They don't even believe you're the devil. Cain: Thanks for the drink. Lucifer: I figure it's the least I could do, after all, I am the reason you're leaking all over my floor.